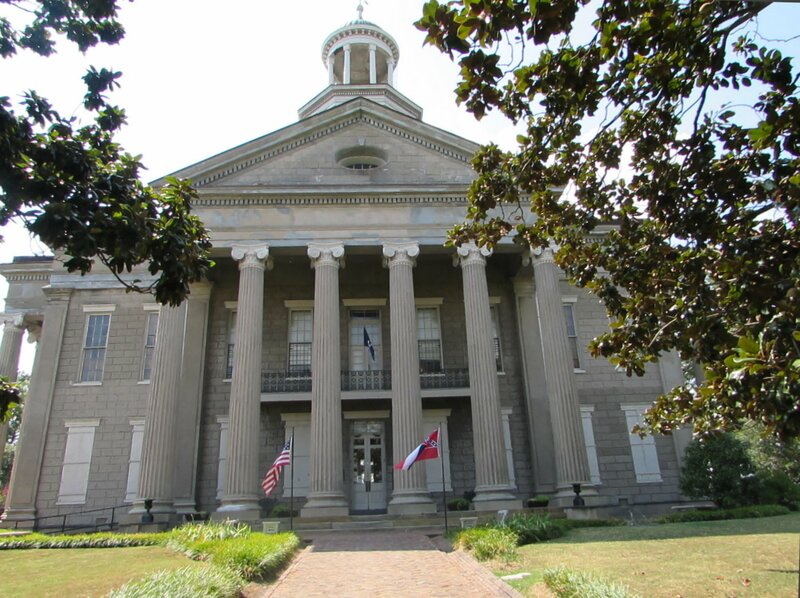 The Old Court Museum in Vicksburg, housed in a neoclassical 1858 building that was once the county courthouse, is operated by the Vicksburg and Warren County Historical Society. I’ve written before that I love Colonial Revival for what it says about the early 20th century people who resurrected the Georgian period in North America. In the same way, I find Lost Cause artifacts fascinating for what they say about the 20th century people who embraced it. 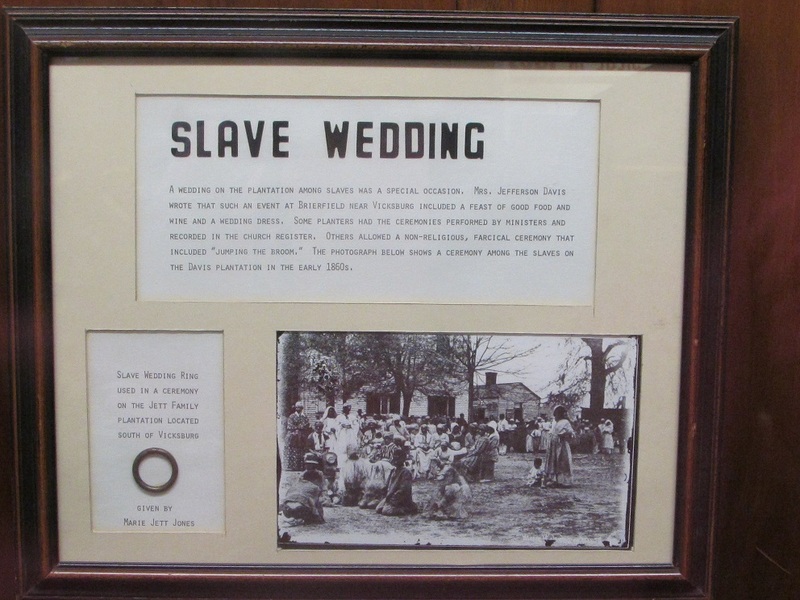 Brierfield was a cotton plantation that belonged to Joseph Davis, elder brother of Confederate President Jefferson Davis. 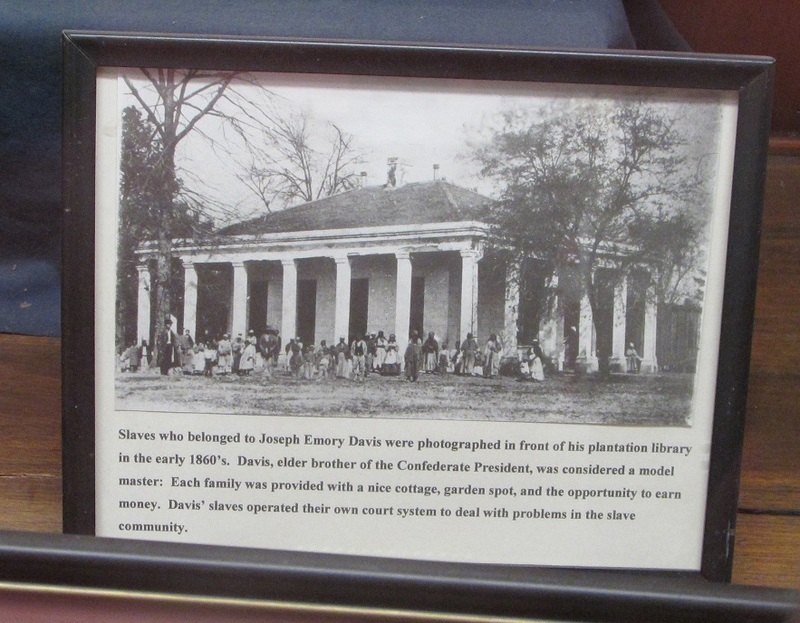 Joseph loaned it to Jefferson and it’s where Jefferson and his family spent their pre-war years. Joseph lived on a plantation adjacent to Brierfield. He was, according to the exhibit below, “considered a model master.” Which makes me wonder: is being “considered” a model master different from actually “being” a model master? Was the author hedging? When were these narratives written? And what’s behind the decision to let them remain? Inquiring minds want to know. 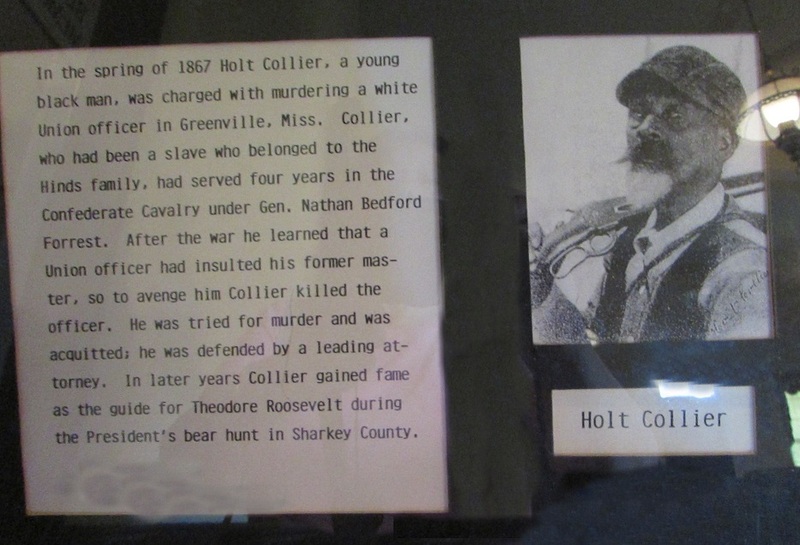 The Old Court House Museum is also filled with non Civil War War of Northern Aggression objects, donated by locals. There was a teddy bear, sent by Theodore Roosevelt to a local child, and jackets and medals worn by local war veterans, and loads of dishes, silver and portraits. 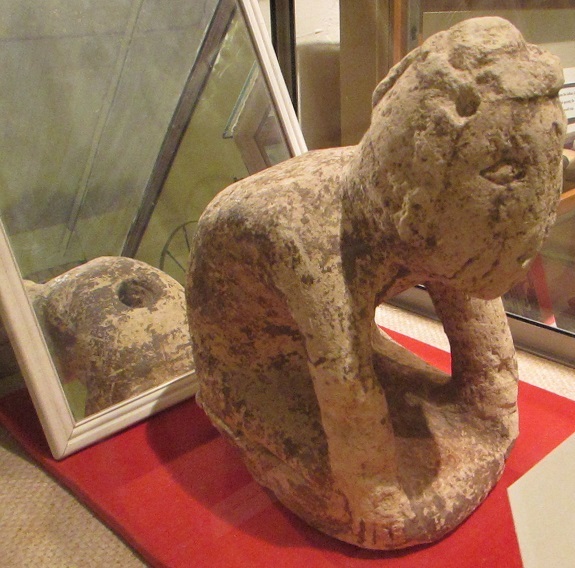 My favorite object was a circa AD800-AD1000 limestone human effigy ceremonial pipe, found south of Vicksburg. The mirror is a nice touch. Between the Vicksburg Battlefield and the Old Court House Museum, we had gone to historic center city Vicksburg for a look-see. We had lunch in an early 19th century building, at a restaurant called KJ’s River Town Grille. I actually don’t remember anything about my meal, so it must have been neither great nor objectionable. We then took a stroll down Vicksburg’s shabby three-block commercial downtown area and took a look at the river. Vicksburg is on the Mississippi, but there’s no river walk, so we could only peer at it from a distance. On to Natchez (and more War of Southern Independence). Gallery | This entry was posted in Mississippi. Bookmark the permalink. I was focused on the War of Northern Aggression and was caught off guard by the picture of the ceremonial pipe. Something about the mirror makes me laugh. I cannot imagine what that could be. I know that it’s to show where the blowing was done, but it made the 10-year-old in me laugh too. My guess is that both the Native artist and the exhibit coordinator had a sense of humor.